Jean Dubrusk, marin et artiste peintre, obsédé par la recherche du caractère, - la Beauté, selon Rodin - a dessiné ou peint la vibration d'instants uniques de son quotidien toujours en mouvement. Jean Dubrusk, an exceptional man of the sea, and painter obsessed by a continual quest for "character", quote Rodin "is beauty", had drawn, painted, sketched unique vibrant moments from his busy daily life. Driven by his will power to succeed, he was able to give life to the canvas. His many Travel Notebooks which are in reality Sketchbooks, are rich, full of a variety of subjects and diverse techniques. Fascinated by nature, he took much pleasure in immortalising trees. 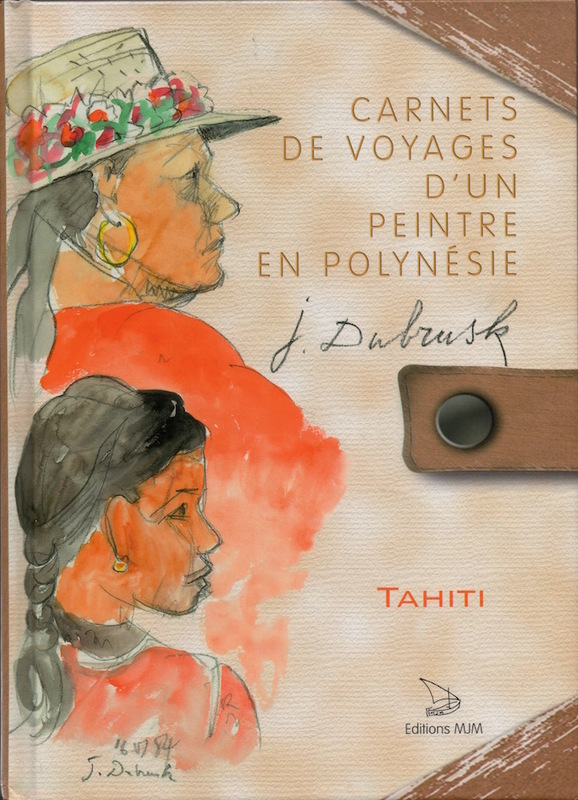 Tahiti was the starting point of a long journey : the artist navigated between the Polynesian islands… and also New Caledonia, Australia and New-Zeland. Let us hope the time will come to show Dubrusk’s world found in his Notebooks, especially the one about "vahine", honouring women, where he highlights their feminity and strength with skill, elegance and fondness... and also the one about his enchanting trips down into the "underwater" world of marine life and coral reefs….